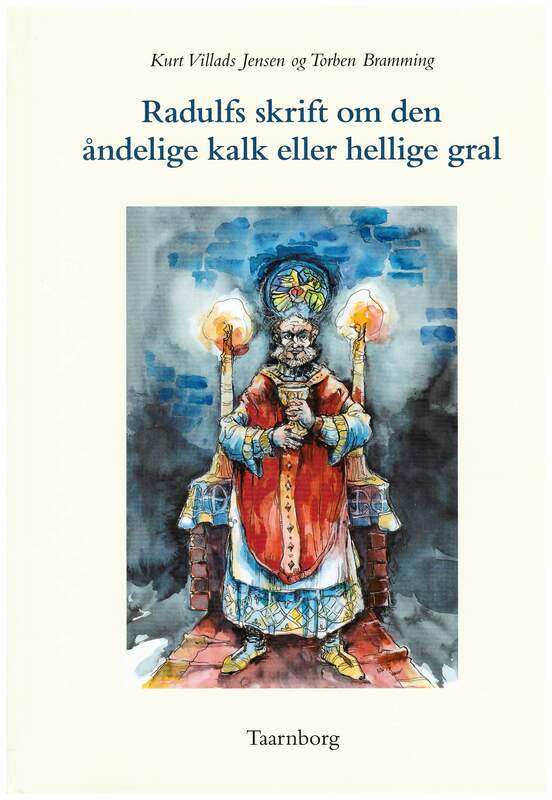 "Langekapellet og Birgittakapellet," Ribe Domkirke Kirkeblad december 2018 - marts 2019, Ribe 2018, 4-9. "Hospitallers in Scandinavia and their connections to the Mediterranean after the fall of the Crusader States", Entre Deus e o Rei. O mundo das Ordens Militares, ed. Isabel Cristina F. Fernandes, Palmela 2018, vol. 2, 755-772. "Encountering the Unknown. The Thirteenth-Century Concept of Change in thte Fight for the True Faith", Fighting for the Faith – The Many Crusades, ed. Kurt Villads Jensen, Carsten Selch Jensen, Janus Møller Jensen, Stockholm 2018, 73-99. 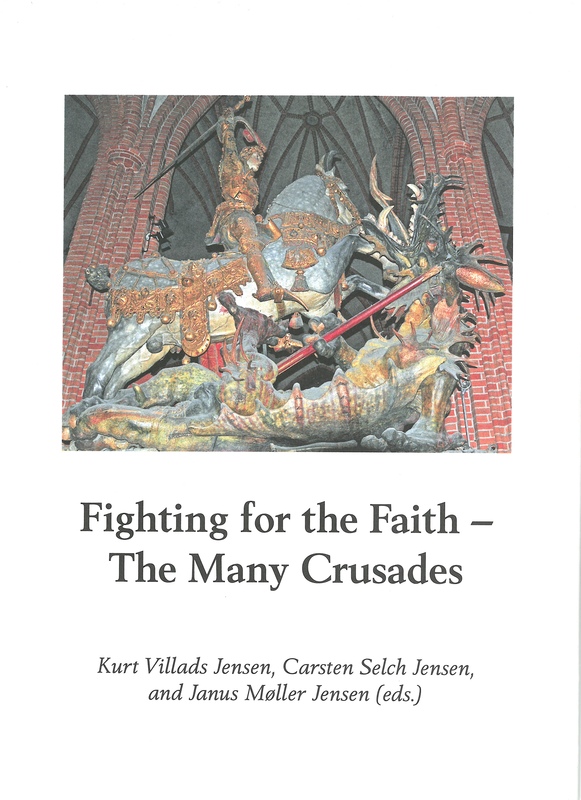 "Introduction", med Carsten Selch Jensen, Fighting for the Faith – The Many Crusades, ed. Kurt Villads Jensen, Carsten Selch Jensen, Janus Møller Jensen, Stockholm 2018, 9-13. "Om hor og andre åndelige sager, i Aarhus," med Kirsi Salonen, Religion som forklaring? Kirke og religion i stat og samfund. Festskrift til Per Ingesman, udg. Nina Javette Koefoed, Bo Kristian Holm, Sasja E.M. Stopa, Aarhus 2018, 107-123. "Det tabte naboskab: Øst og Vest i middelalderen", Politiken Historie 1, 2018, 28-35. "Elämää uskontojen välissä: Kilpailu ja yhteistyö Valimeren alueen moniuskontoisissa yhteiskunnissa keskiajalla", Vihan pitkät jäljät: menneisyydestä, vainosta, vihasta ja siitä, mitä meidän olisi sille tehtävä, ed. Marjo Kaartinen, Kaarina 2018, 34-49. "Jerusalem på jorden. Rundkyrkor och korståg", Bromma Kyrka 850 år. 1168-2018, ed. Bromma församling, Bromma 2018, 17-23. "Verdens gang i middelalderen - har gamle universitetslærere egentlig nogen autoritet? ", Utopi og realiteter. Festskrift til Erik Kulavig, ed. Lars Bisgaard, Mogens Kragsig Jensen, Thomas Wegener Friis, Odense 2018, 297-305. "Testikeltøjklemmer og korstogsteologi", Tidehverv 92, 2018, 76-78. "Bishops on crusade", Dominus Episcopus. Medieval Bishops between Diocese and Cour, ed. Anthony John Lappin with Elena Balzamo, Stockholm 2018, 83-99. "Saints and Sainthood around the Baltic Sea—An Introduction", with Carsten Selch Jensen, Tracey R. Sands, Nils Holger Petersen, Tuomas M. S. Lehtonen, Saints and Sainthood around the Baltic Sea. Identity, Literacy, and Communication in the Middle Ages, ed. Carsten Selch Jensen, Tracey R. Sands, Nils Holger Petersen, Kurt Villads Jensen, Tuomas M. S. Lehtonen, Medieval Institute Publications 2018, 3-12. "Saints at War in the Baltic Region", Saints and Sainthood around the Baltic Sea. Identity, Literacy, and Communication in the Middle Ages, ed. 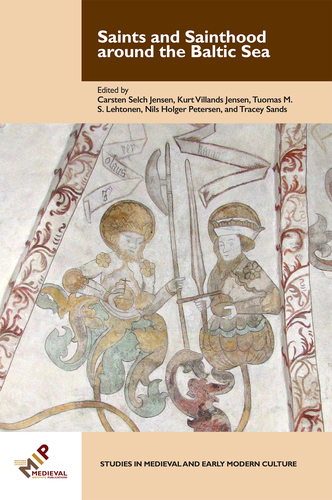 Carsten Selch Jensen, Tracey R. Sands, Nils Holger Petersen, Kurt Villads Jensen, Tuomas M. S. Lehtonen, Medieval Institute Publications 2018, 251-272. "Prisoners of war in the Baltic in the XII-XIII centuries", E-strategica 1, 2018, 285-295. "Conclusion. Is it good to be peripheral", Livland - eine Region am Ende der Welt? Forschungen zum Verhältnis zwischen Zentrum und Peripherie im späten Mittelalter, ed. Anti Selart, Matthias Thumser, Böhlau 2017, 483-493. "Tidlig middelalder" og "Senmiddelalderen", Historien om Danmark. Oldtid og middelalder, ed. Henrik Sebro, Gads forlag & DR 2017, 244-399. 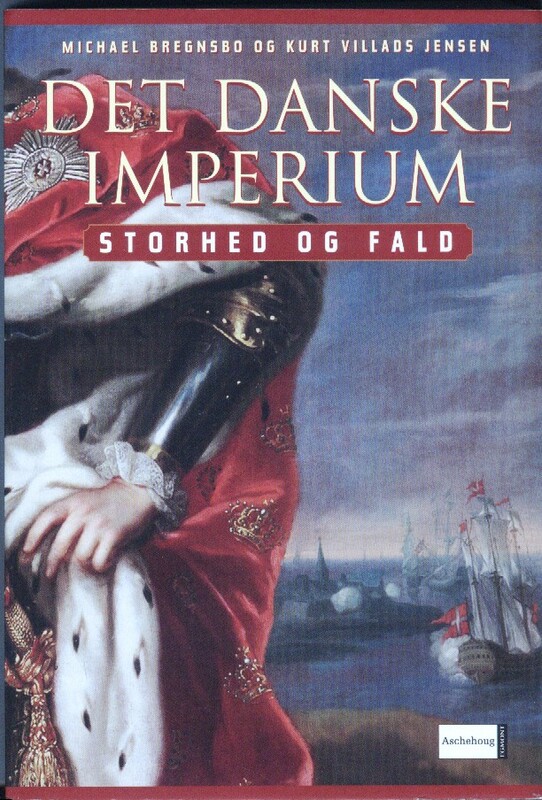 "Det danske imperium", Imperier fra oldtid til nutid, ed. Anders Hassing, Columbus 2017, 117-146. Korstågen. 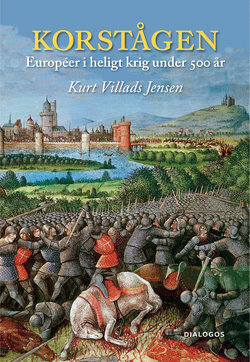 Européer i heligt krig under 500 år, Dialogos Förlag 2017, 400 pp. "Crying Crusaders", Tears, sighs and laughter: expressions of emotions in the Middle Ages, ed. Per Förnegård, Erika Kiholman, Mia Åkestam, Gunnel Engwall, Kungl. Vitterhets Historie och Antikvitets Akademien 2017, 98-108. Crusading at the Edges of Europe. 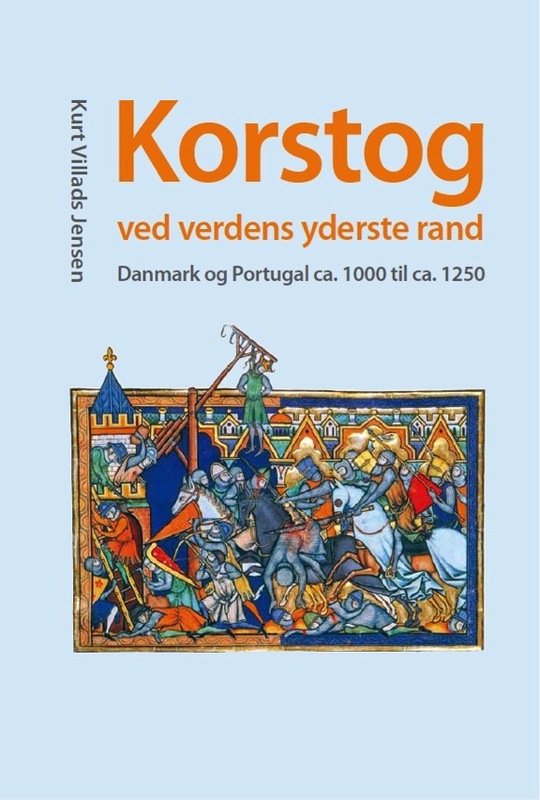 Denmark and Portugal c.1000 – c.1250, Routledge 2017, 384 pp. "Crusading at the End of the World. The Spread of the Idea of Jerusalem after 1099 to the Baltic Sea Area and to the Iberian Peninsula", Crusading on the Edge. 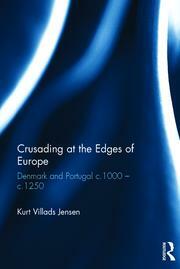 Ideas and Practise of Crusading in Iberia and the Baltic Region, 1100-1500, ed. Torben K. Nielsen and Iben Fonnesberg-Schmidt, Turhout 2016, 153-176. "Holy War - Holy Wrath! Baltic Wars Between Regulated Warfare and Total Annihilation Around 1200", Church and Belief in the Middle Ages: Popes, Saints, and Crusaders, ed. Kirsi Salonen and Sari Katajala-Peltomaa, Amsterdam University Press 2016, 227-250. "Popes, Conversion, and Sainthood in Western Christianity", with Kirsi Salonen and Sari Katajala-Peltomaa, Church and Belief in the Middle Ages. Popes, Saints, and Crusaders, ed. Kirsi Salonen and Sari Katajala-Peltomaa, Amsterdam University Press 2016, 11-35. "Doktor Dampe og Koranens etik", Krig, korstog og kulturmøder i 1700-tallet, ed. Janus Møller Jensen, Carsten Selch Jensen, Nyborg: Østfyns Museer 2016, 143-171. "Crac des Chevaliers - riddernes borg", SFINX 39,2, 2016, 18-23. "Military Orders Between Territorialization and Periphery from the 12th to the 16th Century. A Comparative perspective on Portugal and Denmark", with Paula Costa Pinta, Luís Adão de Fonseca, Cristina Pimenta, Scandinavian Journal of History 41, 2016, 141-159. 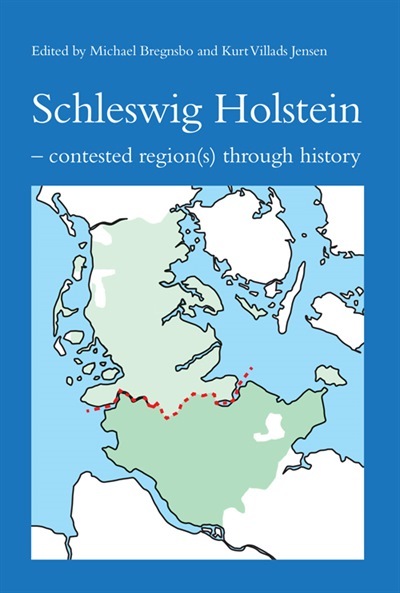 "Introduction", with Michael Bregnsbo, Schleswig Holstein - contested region(s) through history, ed. 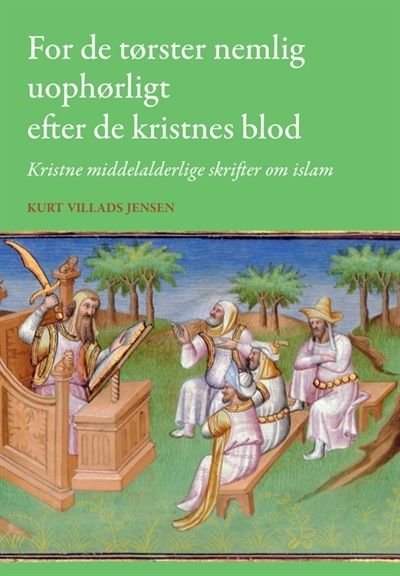 Michael Bregnsbo and Kurt Villads Jensen, Odense: University Press of Southern Denmark 2016, 7-14. "Creating a crusader saint: Canute Lavard and others of that ilk", Of chronicles and kings: national saints and the emergence of nation states in the high middle ages, ed. John Bergsagel, David Hiley, Thomas Riis, København: Museum Tusculanums Forlag 2015, 51-72. "Rupture and legitimacy in Scandinavia (11th-15th centuries)", Rupture i legitimació dinàstica a l'edat mitjana, ed. Flocel Sabaté, Lleida: Pagès editors 2015, 187-204. A Cruzada nas Fronteiras do Mundo. Portugal e Dinamarca desde cerca do ano 1000 atè cerca de 1250, Lisboa: Chiado Editora 2014. Oversættelse til portugisisk af Korstog ved verdens yderste rand, 2011. Radulf skrift om den åndelige kalk eller hellige gral, sammen med Torben Bramming, Ribe: Tårnborg 2014. 128 sider. "Sicilien, riget i midten", Sfinx 2014, 57-62. "Introduction", Monastic Culture. The Long Thirteenth Century. 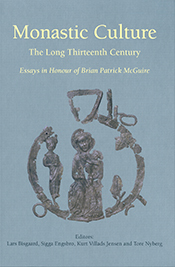 Essays in Honour of Brian Patrick McGuire, ed. Lars Bisgaard, Sigga Engsbro, Kurt Villads Jensen, Tore Nyberg, Odense: Syddansk Universitetsforlag 2014, 7-11. "A Cistercian Sermon Collection from Løgum", Monastic Culture. The Long Thirteenth Century. Essays in Honour of Brian Patrick McGuire, ed. Lars Bisgaard, Sigga Engsbro, Kurt Villads Jensen, Tore Nyberg, Odense: Syddansk Universitetsforlag 2014, 81-100. For de tørster nemlig uophørligt efter de kristnes blod : Kristne middelalderlige skrifter om islam. Odense: Syddansk Universitetsforlag 2013. 292 sider. "Bring dem Herrn ein blutiges Opfer. Gewalt und Mission in der dänischen Ostsee-Expansion des 12. und 13. Jarhunderts", Schwertmission. Gewalt und Christianisierung im Mittelalter, ed. H. Kamp & M. Kroker, Paderborn, München, Wien, Zürich: Ferdinand Schöningh 2013, 139-157. "Schleswig as Contested Place", Kurt Villads Jensen & Michael Bregnsbo, Contested Places, ed. Anne Magnussen, Peter Seeberg, K. Sinclair & Nils Arne Sørensen, Odense: University Press 2013, 155-178. "Physical extermination of physical sin - remarks on theology and mission in the Baltic region around 1200", Sacred space in the state of the Teutonic Order in Prussia, ed. Jarosław Wenta med Magdalena Kopczyńska, Torun: Wydawnictwo Naukowe Uniwersytetu Mikołaja Kopernika 2013, 87-99. "Introduction", sammen med Kirsi Salonen og Torstein Jørgensen, Medieval Christianity in the North. New Studies, ed. Kirsi Salonen, Kurt Villads Jensen & Torstein Jørgensen, Turnhout: Brepols 2013, 1-6. 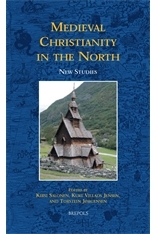 "Martyrs, total War, and Heavenly Horses: Scandinavia as Centre and Periphery in the expansion of Medieval Christendom", Medieval Christianity in the North. New Studies, ed. Kirsi Salonen, Kurt Villads Jensen & Torstein Jørgensen, Turnhout: Brepols 2013, 89-120. "Crusading and Christian Penetration into the Landscape: The New Jerusalem in the Desert after c. 1100", Sacred Sites and Holy Places. Exploring the Sacralization of Landscape through Time and Space, ed. Sæbjørg Walaker Nordeide & Stefan Brink, Turnhout: Brepols 2013, 215-236. "Cultural Encounters and Clash of Civilisations. Huntington and Modern Crusading Studies", Cultural Encounters during the Crusades, ed. Kurt Villads Jensen, Kirsi Salonen, Helle Vogt, Odense: University Press 2013, 15-26. "Introduction", Cultural Encounters during the Crusades, ed. Kurt Villads Jensen, Kirsi Salonen, Helle Vogt, Odense: University Press 2013, 7-14. "Das dänische Imperium. Idee und Konzept - und einige Beispiele aus dem Mittelalter", 1200 Jahre Deutsch Dänische Grenze, ed. Steen Bo Frandsen, Martin Krieger, Frank Lubowitz, Neumünster: Wachholtz Verlag, 125-134. "San Cataldo - i midten af Middelhavet", San Cataldo - et adeligt nonnekloster på Amalfikysten, red. Bente Lange, Marianne Pade, Lene Waage Petersen, København: Billedkunstskolernes Forlag 2013, 31-55. "Løse skud i bøssen. Niels Lund og armbrøsten", i Historisk Tidsskrift 112, 2012, 260-265. Jerusalem in the North. Denmark and the Baltic Crusades, 1100-1522. Turnhout: Brepols 2012. 393 sider. Sammen med John Lind, Ane Bysted og Carsten Selch Jensen. Revideret oversættelse til engelsk af Danske Korstog, 2. udg. 2006. "Jordan og korsfarerne - trafikknudepunkt og hellig geografi", Sfinx 35, 2012, 90-95. “Bigger and Better. Arms Race and Change in War Technology in the Baltic in the Early Thirteenth Century”, Crusading and Chronicle Writing on the Medieval Baltic Frontier. A Companion to the Chronicle of Henry of Livonia, ed. Marek Tamm, Linda Kaljundi, and Carsten Selch Jensen, London 2011, 245-264. Korstog ved verdens yderste rand. Danmark og Portugal ca.1000 til ca. 1250. Odense: Syddansk Universitetsforlag 2011. 611 sider. “Submission – om kristendom og islam og den augsburgske trosbekendelse”, i Troens vovemod – at præsentere og repræsentere kristendommen. Til Niels Henrik Arendt, Haderslev 2010, 95-100. “Large Castles and large War Machines in Denmark and the Baltic around 1200 – an early Military Revolution?”, Revista de História das Ideias 30, 2009, 179-199. ”Sacralization of the Landscape: Converting Trees and Measuring Land in the Danish Crusades against the Wends”, The Clash of Cultures on the Medieval Baltic Frontier, ed. Alan V. Murray. Farnham: Ashgate 2009, 141-150. ”Militæranlæg og store slag – Fra Danevirke til Bråvallaslaget,” Rubicon 17, 2009, 22-30. ”Danmarks krigshistorie før 1600,” i Danmarks Krigshistorie, red. Ole Frantzen og Knud J.V. Jespersen. København: Gad 2008, bd. 1, 20-155. ”Samtidighed og forsinkelser i Danmarkshistorier.” side 137-142 i ”Debat: Danmarkshistoriens udfordringer", Historie 2008, 130-156. ”Danmarks tilblivelse.” Fra antikken til reformationen, udg. Ulrik Grub og Karl-Johann Hemmersam. København: Gyldendal 2007, 64-94. 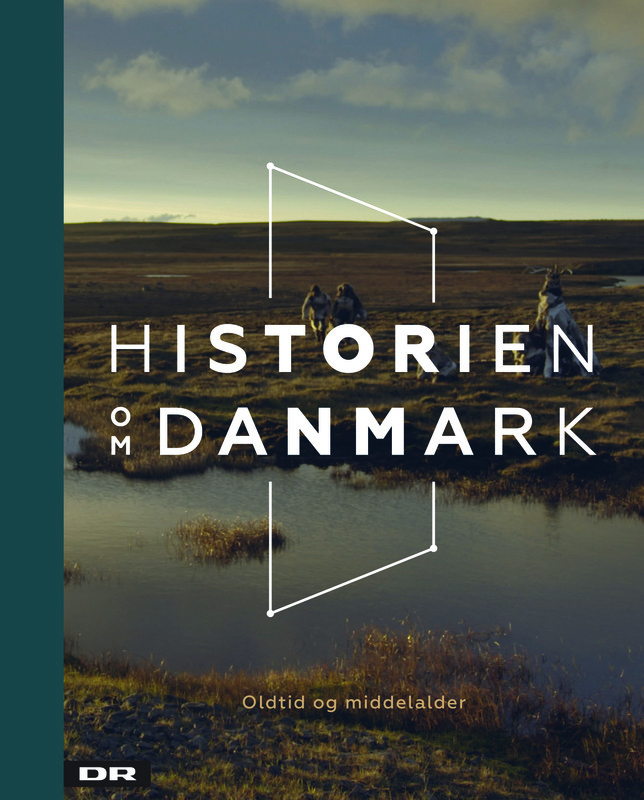 ”Middelalder.” Danmarks Historie. Fra gravhøj til globalisering, red. Rasmus Dahlberg. København: Samvirke bøger 2007, 20-37. Middelalderen – fra forpligtende fortid til etnisk kitch – og tilbage igen. Internetartikel 2007, 341 kb. 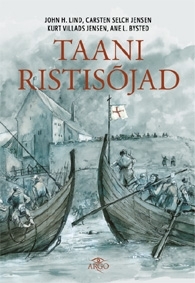 Taani Ristisõjad. Sõda ja misjon Läänemere ääres. Sammen med John H. Lind, Carsten Selch Jensen og Ane L Bysted; med efterord af Linda Kaljundi. Tallinn: Argo 2007. 422 sider. Oversættelse til estisk af Danske Korstog, 2. udg. 2006. Humberti Romani O.P. Liber de predicatione sct. Crucis. Transcribed and edited by Kurt Villads Jensen, 2007. Editio telina (web-edition); 462 kb. ”Middelalder.” Samvirke 2007, 2, 44-49. ”Life of Brian – som historieteoretisk og eksistentielt hovedværk.” Rubicon 14,4, 2006, 17-27. ”Realiseret næstekærlighed. Teologi og politik bag korstogene.” Retfærdig krig. Om legitimeringer af krig og voldsudøvelse i historien, red. Carsten Selch Jensen. Odense: Syddansk Universitetsforlag 2006, 67-85. ”Submission – om kristendom og islam og den augsburgske trosbekendelse.” Internetartikel juni 2006. “Klostre og korstog. Kolonisering og landskabsomvendelse i 1100-tallet.” Tidlige klostre i Norden før 1200, red. Lars Bisgaard & Tore Nyberg. Odense: Syddansk Universitetsforlag 2006, 77-95. "Blider og belejringsmaskiner i Norden omkring 1200"." Krig fra først til sidst. Festskrift til Knud J.V. Jespersen, udg. Lars Bisgaard, Michael Bregnsbo, Finn Stendal Pedersen, Aage Trommer. Odense: Syddansk Universitetsforlag 2006, 59-73. "Broderliste, Vederlov og Holger Danske." Broderliste, Broderskab, Korstog. Bidrag til opklaringen af en gåde fra dansk højmiddelalder, red. Janus Møller Jensen. Odense: Syddansk Universitetsforlag 2006, 203-214. Politikens Bog om Korstogene. København: Politikens forlag 2005. 249 sider. Udkom i Gyldendals bogklub, 2006. Udkom som lydbog, indtalt af Fjord Trier Hansen. Odense: Audioteket 2006. Udkom i norsk oversættelse, Cappelens forlag, 2006. "Middelalderen i EU - centrum og periferi." Passepartout - Skrifter for kunsthistorie 25, 2005, 43-55. "En god historie - Nogle simple og banale overvejelser om historiefortællingens struktur," Rubicon 13,1, 2005, 50-58. "Fortæl, fortæl - Om at formidle historie," Rubicon 13,1, 2005, 59-64. "De danske korstog. 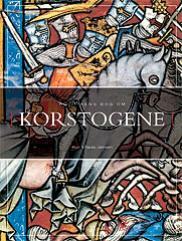 Danmark og venderkorstoget 1147," onlineartikel på http://www.historie-nu.dk/danske%20korstog.pdf, 1. marts 2005, 5 sider. "Johannitere og korstog i Danmark i 1100-tallet. En replik til Thomas Heebøll-Holm,2" 1066 - Tidsskrift for historie 34:4, 2004, 43-45.